How can you base your beliefs on a book that has been translated and edited hundreds of times? | askthe"Bigot"
How can you base your beliefs on a book that has been translated and edited hundreds of times? I was challenged to read The DaVinci Code several years ago. I read it in about 48 hours—it was a great story. But when I put it down, I said to myself “If what this book says is right, my faith is crap. It’s a faith that is divorced from real history and truth. And that is not a faith that I am interested in following.” I had no idea how the canon was formed. I didn’t know how why the Gospel of John was accepted as scripture and why the “Gospel” of Thomas was rejected. I didn’t know what road the Bible I held in my hand had traveled. I was desperate for answers. Evidently I wasn’t the only one with newfound misgivings. Shortly after the The DaVinci Code was printed, several rebuttals were published. I read three of them. They identified hundreds of misstatements made by Dan Brown and deconstructed them using the highest levels of textural criticism. What I found were answers that not only satisfied doubts planted by The DaVinci Code, but gave me incredible confidence that the Bible I held in my hand was indeed what the first century believers circulated and venerated as God-inspired accounts of the life of Christ. The Gospels and Epistles were mostly written by the mid-60s AD and were all written by 95 AD by people who walked with Jesus or by people writing as an amanuensis (secretary) for an Apostle or Disciple of Jesus. What they wrote was copied and widely distributed throughout the churches that existed in the first few centuries. The fact that there are 20,000 manuscripts from Ancient Greek, Coptic, and Latin of the New Testament that are 99.9% in agreement speaks volumes about the historicity of the text. The differences that do exist are things like “In Jesus Christ’s name” vs. “In the name of Jesus Christ.” There are no major scribal errors and most major differences are that early manuscripts do not contain John 8:1-11 and Mark 16:9-20, but all good translations in English have a note attached explaining this difference. The best English translations (NIV, ESV, NASB) are direct translations from the Greek giving weight to the earliest copies. It is the most well-preserved, copied and supported by archeology and outside evidence text of any ancient manuscript. As C.S. Lewis said in Mere Christianity, to deny the historicity of Scripture, you would have to deny everything in history that you have not seen with your own eyes. Whether or not the Gospels and the other New Testament writings are reliable is such a crucial question. After rediscovering her Catholic faith, Anne Rice, famed author of Interview with a Vampire and 30+ other books, also tackled this subject. At the end of her novel Christ the Lord: Out of Egypt, she details her quest for the historical Jesus in the Author’s Note. (Read the book. Read the Author’s Note. All of it is glorious.) Anne Rice is renowned for the historical background that she painstakingly researches for each of her novels. Regarding her examination of the Gospels she writes “Having started with the skeptical critics… I expected to discover that their arguments would be frighteningly strong, and that Christianity was, at heart, a kind of fraud. I’d end up compartmentalizing my mind with faith in one part of it and truth in another.” She describes being consumed with her research because she “had to know who Jesus was.” “In sum, the whole case for the nondivine Jesus who stumbled into Jerusalem and somehow got crucified by nobody and had nothing to do with the founding of Christianity and would be horrified by it if he knew about it—that whole picture which had floated in the liberal circles I frequented as an atheist for thirty years—that case was not made. Not only was it not made, I discovered in this field some of the worst and most biased scholarship I’d ever read.” She then talks about how she discovered “a scholarship quite different from that of the skeptics” and said that it was a turning point. “I was able to enter the Fourth Gospel, and see Jesus alive and moving. And what eventually emerged for me from the Gospels was their unique coherence, their personalities—the inevitable stamp of individual authorship.” From this research her two novels about Christ, told in the first-person, emerged. They are a portrait of a very human, and totally sinless, Jesus. Regarding the Bible being reliable, by no means should you take my word for it. Read for yourself. Below I have included several titles that provide real substance to those who want more of an explanation than “just have faith.” There are real answers about Scripture that stand up to historical scrutiny and are buttressed by archeological proofs, textural criticism and reason. It’s one thing to look for historical evidence that the Bible you had in your hand was what a small group of first-century people actually believed. But what does that have to do with the accuracy of their beliefs? 1. If there were more than 500 witnesses to Jesus having appeared to them in a resurrection body (1 Cor. 15:1-6), and if they wrote about it in the Gospels and Acts (which were widely circulated), then don’t you think if it was false that the Romans or the Jews or a disgruntled Christian would have been able to produce Jesus’ dead body to shut up the Christian witnesses? 2. 11 of the 12 apostles were killed for their testimony about Jesus’ life, death and resurrection. Many other Christ-followers were as well. If the Apostles and more than 500 witnesses would have lied, then at least one of them would have admitted it was a lie when facing trial, persecution, or death. The fact that they didn’t renounce what they believed they saw, touched, and witnessed speaks volumes. Who would die for a lie? 3. The gospel accounts are corroborated by extra-biblical sources- primarily Josephus and Tacitus. Despite all the points you mentioned, the vast majority of Jews at the time (the very people Jesus tried to preach to) rejected Jesus and the New Testament. What does that tell you? Thanks so much for your question. I apologize that it has taken so long for me to respond. There are over 300 prophecies in the Old Testament about Messiah. Many were about how He would bring peace on earth, vanquish Israel’s enemies, and be a conquering King. There are also prophecies about his lowly birth and humble life, how He would suffer, and that He would bring the gentiles into His kingdom. It’s very difficult to reconcile these two seemingly different pictures of the Messiah. Clearly, many people were utterly baffled at Jesus, His teachings, and the willful submission to the cross. When He rode into Jerusalem on Palm Sunday, the crowds lauded Him and shouted “Hosanna” and “Blessed is the King who comes in the name of the LORD.” They were expecting and hoping that Jesus was preparing to establish His physical kingdom, as so many of the prophecies indicated. But Jesus did not come on a horse- the sign of a conquering king. He chose a donkey instead, the gentle animal that signified peace. During his first Advent, His goal was to establish His spiritual kingdom and to throw the doors of his kingdom wide open to ANY person who would see Him as the servant King that He is. He has made Himself known to us through His baffling and historical Incarnation. He has laid out unbelievably high expectations for His followers, and He has sent a Helper (the Spirit) who will guide us in all truth. He has not compelled anyone to believe but rather has given us the option, if you will, to choose Him as our King. Where the Jews right about their expectations? Yes. But the mystery that many first century Jews were not able to unpack (and that I’m still learning about) is that the Messiah is coming again for His second Advent. But this time, it will be on a war horse. It will be as a King who is coming to establish His physical kingdom on earth. And at that time, whether you have acknowledged Him or not, every knee will bow and every tongue will confess that Jesus is King of kings and Lord of lords. Nearly all of the first Christians were Jews. Jesus and the apostles based much of their apologetics and evangelism on the Hebrew Bible (Old Testament Scriptures). In fact, there were only two forms of “Judaism” that survived the Jewish-Roman war of 66-70 AD: Rabbinic Judaism and Christianity. That’s right; Christianity was considered a Jewish sect until the second century when more converts from the Gentile world (rather than the Jewish world) were converting to Christianity. You are right. Many Jews rejected Jesus as Messiah. Like today, many cannot see past their own desires about what they would like to have in a God or Messiah so they construct their own. Like the first century Jews, we trim away the parts of God that make us uncomfortable or don’t fit our expectations and we add features that allow us to get what we want from God without having to personally change- the cosmic vending machine if you will. But make no mistake, the story of God (the Bible) exists because God is personal and He wants to be known for who He is. Knowing Him, the Living God, the one who created you and me, is the only way to eternal life after death and abundant life now. So back to your question. It is not primarily about whether Jews or Christians are right. The question is: “Is Jesus who He said He was?” That is the necessary starting point of every discussion in matters of life and theology. I really like your C.S. Lewis quote about questioning any history you did not see with your eyes. It has made me consider the way we teach other kinds of history in our culture. U.S. History books are not written by the people they discuss, or even those people’s best friends, but by scholars who research many people’s accounts and primary documents in order to assemble an accurate collection of facts. History books typically have more than facts, however. They are also filled with analysis of events and cultural context, two things the Bible lacks. There’s a reason new editions of history books come out every few years, and it’s not just to add new history. Eventually chapters need to be re-written so that context that is no longer relevant can be removed or clarification that is newly necessary can be added. A good history teacher will offer alternative perspectives on history and will ask important questions about who wrote the book, so that students consider potential bias and differing understandings and interpretations. For instance, a black southern woman will tell the story of the civil war far differently than a white northern man will, because of point of view. These are all things the Bible lack in its original and translated texts. Personally, I enjoy the Bible and I like many of its teachings, but I do believe it’s important to temper the text with context and analysis rather than taking it literally word for word, as many devout fundamentalist Christians do. It may be true that the Bible is historically “accurate,” but whenever history is told, something gets left out. You can never tell the whole story. I think many people forget about that. Thanks for your comments. I agree that teaching history presents some unique challenges. Thankfully other disciplines (sociology, archaeology, etc.) can inform our history so that we can honor those who have given us the benefit of their life examples. The Bible can be difficult to read and understand. 66 books, 40 authors, written over 1500 years. There is prose, history, genealogies, poetry, parables, etc… So the interpretations depend on the author’s intent. Did the author intend for it to be taken literally? Well, in the case of Jesus’ parables the answer is no. The parables usually point to one (or two) main themes. Is the Song of Solomon literally talking about the Shulamites’ breasts being fawns? No. Song of Solomon gives us insight into the conceptual mindset of the Hebrew. Are the Ten Commandments to be taken literally? Yes. The grammar is an imperative. Are there areas of mystery where biblical Christians disagree about an interpretation? Sometimes. But much of the time understanding historical context (of which there is a great deal within extra-biblical sources) and original language use will give indications about the author’s intent. There is great diversity within authorship as well. Young and old, scholars and lay people. It would be hard to find another book that speaks one over-all message with such a diverse group of authors. That diversity, as well as the breadth of writing over such a long period of time is a context in and of itself. 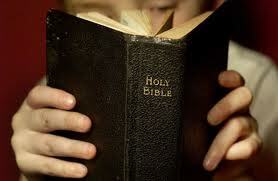 The true biblical scholar will interpret biblical passages based on other scriptures. As for commentary, there are many passages that are simply descriptions of historical events. Those are distinct from the passages that are prescriptive, where God is prescribing a method, law or course of action. Sometimes God Himself gives an analysis of events, and other times we simply see the blessing or destruction that follows human decisions. (Polygamy is a great example of this, as discussed in my post “Ya know, polygamy seems pretty biblical.) Jesus is presenting his own interpretation of the Mosaic Law during the Sermon on the Mount (called a Rabbi’s yoke), certainly one of the greatest commentaries on the Old Testament law. Anyone can form a doctrine based on one or two verses or books. But to be considered “biblical,” one must consider the whole council of scripture when establishing their beliefs. That’s a lot harder than latching onto a couple sayings that we like. But when we base our theology on everything from Genesis to Revelation, we get a true picture of who God is and the history of His interaction with humanity. “Many people claim to want the truth, but what they really want is for their beliefs to be true.” I think that, or something like it, was said by a person whose name I don’t recall at the moment. One guy said, “If Jesus were proved wrong, I would prefer to stay with Jesus than with the truth.” That’s anathema to me. I don’t have much going for me: I’m not rich, famous, powerful, talented, or skilled. All I have is knowledge. So I hate being wrong. It was two Jehovah’s Witnesses who got me thinking. I hadn’t long become a Christian, and didn’t know the Bible that well. Their answers to my questions about their interpretations got me worriedly thinking, “What if they’re correct?” So for about twenty years I’ve looked at the question though the eyes of history, logic, philosophy, science and religion (I’m not so much a polymath as a dilettante with the attention span of a Jack Russell terrier with ADHD). I’ve wrestled through all the questions your previous commenters have asked, and am intellectually convinced that the Bible is reliable and, I believe, divinely inspired; and that Jesus is who he claimed to be. On a topic where I risk a huge gain or loss – like heaven and hell – I am very difficult to satisfy. Gullible? My friends have called me pedantic and cynical (I prefer realistic or skeptical). I don’t necessarily like following Jesus. He interferes with how I would prefer to live. C.S. Lewis said that when he became a Christian, he was probably the most dejected and reluctant convert in England. Being an atheist would be easier for me in many ways: I could do what I want, when I want, how I want. But I would be a fool to reject what I am convinced is true because I don’t like the implications. I’m sure I left something like that lying around on the site…can’t remember where I put it though.